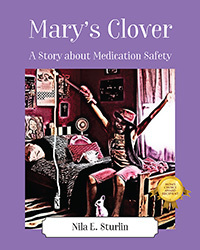 Nila E. Sturlin’s “Mary’s Clover: A Story about Medication Safety.” This short story, written because of the high incidence of medication-related poisoning by children, conveys an important message about the dangers of medication misuse. Mary, a kind and free-spirited little girl learns a valuable lesson when her pet rabbit Clover falls victim to a medication mishap. Previous Previous post: Published Authors Take Note: It’s Time for the Beijing Book Fair!